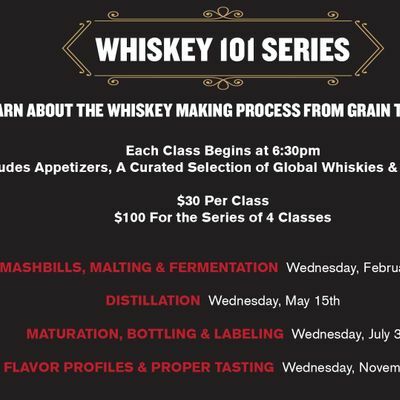 Learn about the whiskey making process from grain to bottle. Each class will focus on a different part of the process. 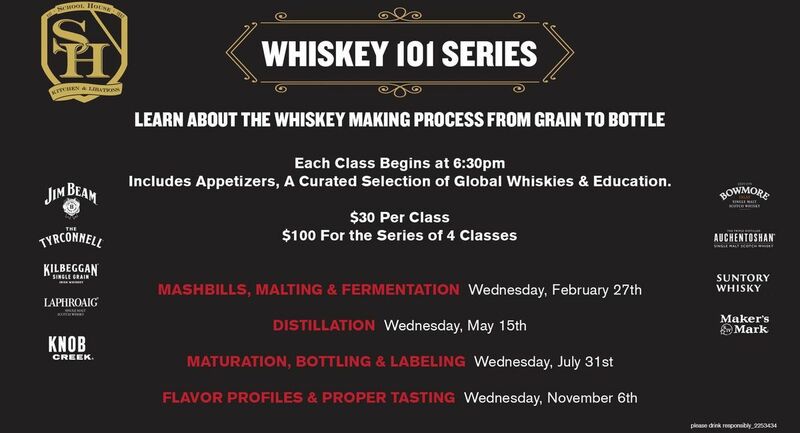 Come to one class or come to all of them and expand your whiskey knowledge. Appetizer buffet will be provided. Click the link below to buy a 4 class package!